While it is evident that the lure of the Philadelphia Big 5 is not what it used to be, the history that surrounds the group can still be seen in the NBA and NCAA today. The Big 5 is not a conference, but a group of five Philadelphia-area colleges and universities competing for the title of best in the city. The Big 5 was formed in 1955 following La Salle's NCAA Championship. The group was originally brought together to help pay to maintain the Palestra, where the five teams played their home games. As we know, the schools don't always play their home games at the Palestra these days, with the exception of Penn, but still the Big 5 competition continues. As most basketball fans would know, Villanova has become a national powerhouse. And as we discussed earlier, La Salle is the other school with the title of NCAA Champion. Still the other three schools have their contributions to Philadelphia basketball history. At least one Big 5 school has made the NCAA Tournament for 40 straight years. Some of the greatest rivalries in NCAA basketball still spawn from the Philadelphia Big 5. Who can forget John Chaney sending his "goon" in to foul St Joe's John Bryant, ultimately breaking his arm in the process? The players and the schools represent the city of Philadelphia, in as much as the rivalries fuel the Big 5, same with the respect the 5 schools have for each other. Here we will take a look at some of the best and worst players that represented the group at the NBA level since 2000. Get past the recent images of Delonte West, and remember just how good he was alongside Jameer Nelson during St. Joseph's run in 2004. Widely regarded as the best backcourt in college basketball, the duo led the Hawks to a 27-0 regular season record and an Elite Eight appearance. The team would finish 30-2 that season. West earned third team All-American honors his junior year and was a two-time All-Atlantic 10 player. The Boston Celtics used their 24th overall pick in the 2004 NBA Draft on the guard. Although most of his career was marred by injury, West managed to post career-highs in points, rebounds, and assists in Boston. Later in Cleveland, he found a role on the championship-contending Cavaliers alongside LeBron James. Michael Bradley was actually one of the higher draft picks on our entire list. That draft position solidifies his spot on the worst side of our list. 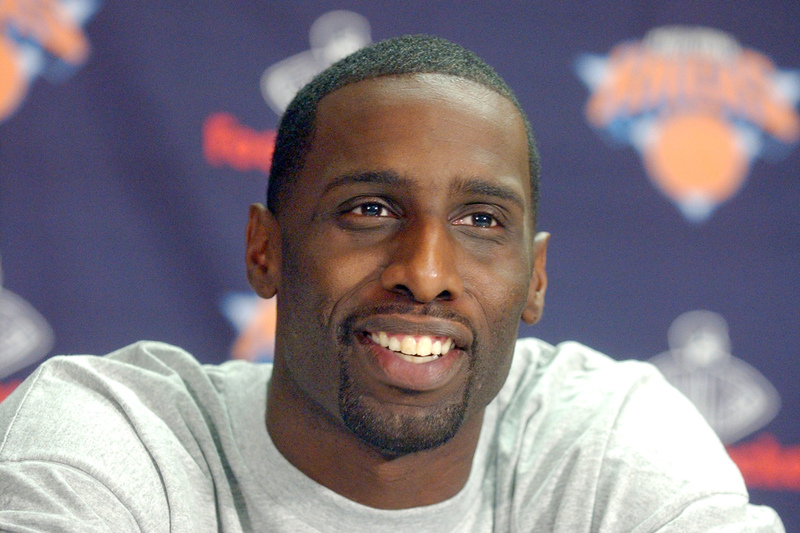 Bradley was drafted 17th-overall by the Toronto Raptors in 2001. Now remember that this was on the heels of Vince Carter taking the franchise within one game of the Eastern Conference Finals. 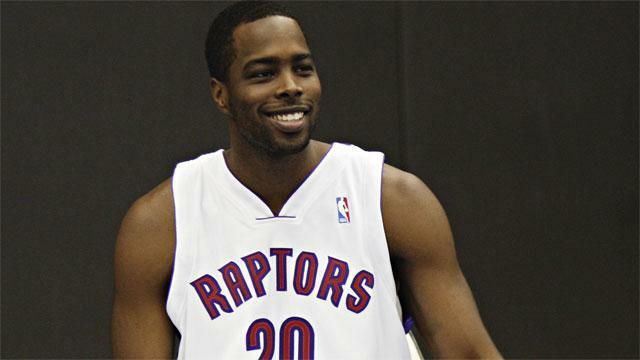 The Raptors needed someone to contribute with that pick, but that never came to fruition. Bradley saw an increase in playing time between his rookie campaign and 2nd season, but nothing would amount to success at the NBA level. This second team All-American from Villanova was out of the league by 2006 with career NBA averages of 2.8 points, 3.4 rebounds, and 11.8 minutes per game. Only Larry Foust appeared in more NBA games than Rasual Butler, as far as players from La Salle University. Since we are trying to keep this recent, Butler nabs a spot on our list. Butler was born in Philadelphia and a Roman High School grad before attending La Salle. There, he was twice named First Team All Atlantic 10. The Miami Heat used a 2nd-round pick in the 2002 draft on the former Explorer, and withn the Heat, he spent the first three years of his NBA career. Best-known for his three-point shooting, Butler averaged 7.5 points and 21.3 minutes for his career. His career-highs included 11.9 points with New Orleans, 33 minutes per game with the Clippers, as well as 10.6 field goal attempts per game in LA. Butler's career looks to be over after 13 years of service. Lavoy Allen won the Robert V. Geasey Trophy in 2011. The trophy is awarded to the most outstanding player in the Philadelphia Big 5. He was also a two-time first team All-Atlantic 10 player. Allen was born in nearby Trenton, NJ before attending Temple. Although ranked the 99th-best prospect entering the 2011 NBA Draft, Allen was selected by hometown Philadelphia 76ers with a 2nd round pick. After playing sparingly during his rookie season, Allen made a name for himself during the 2012 playoffs. He averaged 19.7 minutes for the 76ers as they knocked of the Chicago Bulls before being ousted by the Celtics. That stands as the highlight of his career and probably the reason Allen is still floating around the league. In his 6th NBA season, Allen's averages have dropped to 2.9 points and 3.6 rebounds in a career-low 14.3 minutes per game. Although his success was short-lived, Alvin Williams put together some nice seasons running the floor alongside Vince Carter with the Toronto Raptors. Williams was first team All-Big East in 1997 and drafted by the Portland Trail Blazers in the 2nd round of the same year. Williams was traded midway through is rookie campaign to the Toronto Raptors, where he was able to find a role in the NBA game. After seeing spot starts for the first three years of his Raptors Tenure, Williams took over the role full-time midway through the 2000-2001 season. That would prove to be the Raptors' best playoff run until Kyle Lowry (whom we will see later) took the team to new heights. Williams started 214 games out of 216 across three seasons before a knee injury ultimately cost him his career. With career highs of 13.2 points, 5.7 assists, and 1.6 steals, Williams put together a good yet short NBA career. Okay, I cheated on this one. I needed to find a way to include UPenn, and this guy happens to share a name with the Greatest of All Time. In both his junior and senior seasons, Jordan was named Ivy League Player of the Year. Along with the individual accomplishments, Jordan also helped the Quakers to the NCAA Tournament in both of those seasons. Another way we bent the rules for this inclusion was that Jordan was neither drafted or ever played in the NBA. Though he did attend tryouts with the Philadelphia 76ers and Boston Celtics, he was not successful in securing a NBA contract. Jordan did spend time playing professionally overseas, and is currently an assistant coach for Colgate. Kerry Kittles is an all-time great player in Villanova history. He still owns 15 Villanova records including career points with 2,243 and career steals with 277. Kittles won the Robert V. Geasey Trophy twice while playing in Big 5, and earned second team and first team All-American honors in his junior and senior years. Sprinkle in a Big East Player of the Year award, and Kittles was good enough for the New Jersey Nets to use the 8th overall pick in the 1996 draft on. He continued his knack for scoring upon entering the league. After a rookie campaign where he averaged 16.4 ppg, Kittles followed it up with a career-high 17.2 points in 1997-1998. After sitting out a whole year because of a knee injury, Kittles returned as a full-time starter on Nets' teams that went to back-to-back NBA Finals. Unfortunately, his bad knees would cut his career short after 8 NBA seasons. Dwayne Jones was a part of the previously-mentioned 27-0 regular season St. Joseph Hawks. He controlled the paint en route to Atlantic 10 Defensive Player of the Year honors and posted career highs of 10.1 points and 11.6 rebounds his junior year. Jones decided to forego his senior season and enter the NBA Draft. He would end up going undrafted and played just 14 games with the Boston Celtics his rookie year. He would appear in a total of 64 more games through 2009-2010, and saw his final minutes in the playoffs with the Golden State Warriors, where he played 2 minutes in 2012-2013. The former St. Joseph's big man is currently continuing his professional basketball career in Argentina. Another Robert V. Geasey Trophy winner, Aaron Mckie paired the award with a Atlantic 10 Player of the Year award in 1993. After that stellar junior season, McKie again had a productive campaign his senior season, earning All-Atlantic 10 honors. The Portland Trail Blazers used the 17th pick in the 1994 NBA Draft on McKie. He showed some promise in his 2nd season in the NBA, and after a stint with the Detroit Pistons where it looked like his career was heading nowhere, McKie ended back in Philadelphia as a member of the 76ers. There, he would become one of the league's best 6th men, and in 2001 was named the NBA Sixth Man of the Year. That year he helped other award winners Allen Iverson (MVP), Dikembe Mutombo (DPOY), and Larry Brown (COY) take the 76ers to the NBA Finals. Mardy Collins attended Philadelphia's famous Simon Gratz High School. That's the same school as the previously-mentioned Aaron McKie, as well as Rasheed Wallace. Collins attended Temple University, where he twice made First Team All-Atlantic 10. His stellar defensive play, all-around game and 16.9 points per game made him appealing to scouts, and the Knicks ended up using their 1st round pick in the 2006 draft on the former Owl. Sadly the most memorable moment in Collins' NBA career was probably he committing the hard foul that started the New York Knicks and Denver Nuggets brawl in 2006. Collins spent 4 years in the league and averaged 3.9 points, 1.8 rebounds, 1.7 assists in 14.7 minutes and 189 career NBA games. We have mentioned the memorable St. Joe's run a few times already when we took a look at Delonte West and Dwayne Jones. None were more responsible than Jameer Nelson. During his stay as a Hawk, Nelson earned two Atlantic 10 All-Defensive Team honors, three All-Atlantic 10 first team berths, one second team All-Atlantic 10, one Atlantic 10 Player of the Year award, and National College Player of the Year. Although regarded as undersized, Nelson was picked 20th overall in the 2004 NBA Draft by the Orlando Magic. He and Dwight Howard entered the league together, and by 2008-09 had guided the Magic back to the NBA Finals. That would also be the year Nelson was picked for the NBA All-Star Game. Unfortunately, that season was cut short for Nelson and he did not compete in the Finals or All-Star Game. After 10 seasons in Orlando, Nelson is currently with the Denver Nuggets. Before the Wildcats won the 2016 NCAA Championship, the Randy Foye led 2005-2006 Villanova team was one of the most memorable in recent history — the "four-guard lineup" featuring Foye, Allan Ray, Kyle Lowry and Mike Nardi. That year, Foye was a first team All-American, Big East Player of the Year, and Robert V. Geasey Trophy winner. The team took Villanova to the Elite Eight before being ousted. Foye was drafted with the 7th pick in the 2006 NBA Draft by the Boston Celtics and ended up with the Minnesota Timberwolves for his rookie season. Foye did start off his career on a good note earning NBA All Rookie first team honors. But his career never really got going, and surely did not live up to his draft position. Foye is currently on his 7th NBA team, and sports career averages of 10.3 ppg on 40 percent shooting. Our highest ranked Temple Owl, Eddie Jones was able to put together stellar careers at both the college and NBA levels. He was the 1994 Robert V. Geasey Trophy winner, and he also won an Atlantic 10 Player of the Year award. Jones was then taken 10th overall by the Los Angeles Lakers in the 1994 NBA Draft. With the Lakers, Jones was a two-time NBA All-Star, a member of the NBA All-Rookie first team, and NBA All-Defensive second team. He would add a third All-Star Game as a member of the Charlotte Hornets ,where he also earned his lone All-NBA third team honor. Jones' NBA career lasted through the 2007-2008 NBA season. He ended with career highs of 20.1 ppg, 5.1 rpg, 4.2 apg and 2.7 spg. The 2.7 steals in 1999-2000 was also good for the league lead. Tim Thomas went to high school in Paterson, NJ before deciding on Villanova for his college basketball career. Widely regarded as a NBA prospect even before entering college, Thomas was selected with the 7th overall pick in the 1997 NBA Draft, right after his freshman season as a Wildcat. Thomas would end up playing for 76ers after being traded before his rookie season started. He started off solidly with a NBA All-Rookie Second Team. But in his second season, he entered a slump ,and the 76ers ended up moving Thomas to the Milwaukee Bucks. There, he was able to earn a big 6-year, $66 million contract, which he would never truly live up to. Inconsistent play became the mark of Thomas' NBA career. He played through the 2009-2010 season, never really becoming a franchise cornerstone. His 11.5 ppg throughout his career and career high of 14.7 ppg is all we ended up getting from the once promising future star. Kyle Lowry is still enjoying the prime of his NBA career. As mentioned earlier, Lowry was a member of the 2005-2006 Villanova Wildcats that really saw the program get back to elite status. Lowry spent two seasons at Villanova where he earned Big East Rookie of the Year, Philadelphia Big 5 Rookie of the Year, and second team All-Big East. He entered the draft in 2006 where he was taken 24th overall. Lowry showed flashes with the Grizzlies and Rockets before landing in Toronto where he was able to play at an All-Star level. There, he became a three-time NBA All-Star, and earned All-NBA third team honors for the 2015-2016 season. He, along with DeMar DeRozan, have formed one of the best All-Star duos in the league, and have taken to the Toronto Raptors to their first Eastern Conference Finals with hopes of improving on that in the future.